Disney Buys Into Hulu. YouTube Should Be Worried. 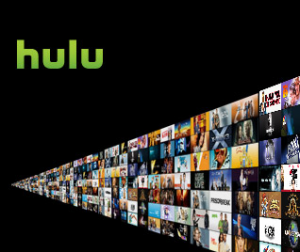 As Hulu continues its spectacular rise (it is the No. 3 video site in the U.S. and is closing in on No. 2), it just got major buy-in from yet another major media company. Disney is now an investor, joining News Corp and NBC (along with private equity firm Providence Equity Partners). Each of the three media companies now reportedly own 27 percent of Hulu. In the world of media companies, every new distribution window is a new opportunity to make money. So instead of thinking of the Web as one big distribution window, maybe Hulu gets first dibs at the hottest shows and movies, and then YouTube after a while. the media companies would like nothing better than to displace YouTube as the king of all Web video. And with a stake in Hulu’s success, they have even more incentive to help it win. But if Hulu does become the de facto distribution vehicle for the media companies, the TV and movie companies who are not part of the partnership will be at a disadvantage. Companies like CBS and Time Warner have to consider joining as well. But Hulu can’t let them all in because at a certain point it will trigger antitrust concerns. So there is a limit to how dominant Hulu can become, but Hulu is still along way from getting there (Hulu streamed an estimated 380 million videos in March in the U.S., compared to 5.9 billion for YouTube). For now, merely presenting a serious challenge to YouTube is a good thing for competition and for video on the Web.